• 2662 sqft , 3 bath , 3 bdrm townhouse “with full walk-out basement” – FOR SALE CAD429,900 . New Price! Wow! Water Front! 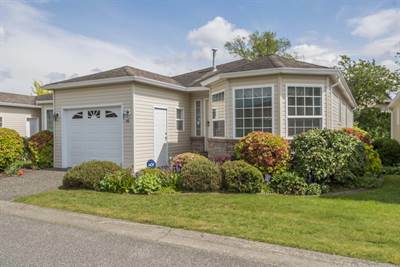 Spacious Detached Home in Cottage Grove! Fully finished Walk-out Basement, Vaulted Ceilings, separate Dining Room and Eating Nook. Master Suite on main floor with Large walk-in and Ensuite. Upper level includes 2nd Bedroom or den, and Laundry room. Lower level with a bedroom, bath and family room, large enough for big family gatherings. Bare-land strata with only $100 monthly fee. Enjoy your morning coffee over looking the peaceful brook from your patio. Beautiful landscaping, small garden plot, well cared for home! Wonderful Gated 55+ community. Come and view today!